One thing that was obvious to almost everyone at the Providence Tomorrow charrettes was that few of the participants there for the transit forum were familiar with Providence’s (and RI’s) RIPTA public bus system, and that was a shame considering there were an estimated 72,000 bus rides per day on RIPTA in 2005 (an increase of 25% over the year before according to a 11/05 Providence Journal Article) and precious few of those individuals were at the charrettes. This points out the glaring need in Providence for something modeled after the wildly successful Straphangers Campaign in New York City. 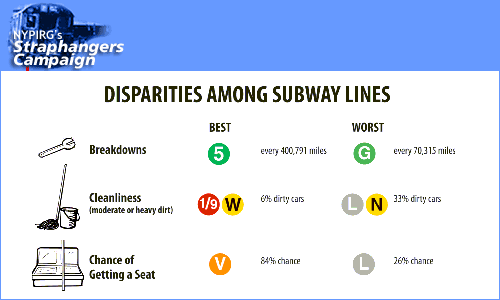 The Straghangers are an offshoot of the New York Public Interest Research Group that advocates for better, cleaner, cheaper, and better functioning subways and buses in NYC. Like any advocacy group, it is one New Yorkers love to hate. Some view them as counterproductive and too focused on fare hikes over quality of life issues, while others view them as too timid on the very same points. If a good compromise makes everyone mad, then the Straphangers are doing their job, because absolutely no one denies they’ve been extremely influential at making NY public transit safer, prettier, and more efficient. Could a similar campaign work here in Providence? On what should it focus? Is Providence’s bus, train, and ferry ridership organizable? What does everyone think? Just wanted to point out on the StreetsBlog it was mentioned that Gene Russianoff, Executive Director of the Straphangers Campaign in New York City has been tapped to join Governor-Elect Eliot Spitzer’s transition team transportation committee. Good for Gene and good for New York state. Now we need to convince our Governor of the importance of transit here in Rhode Island.